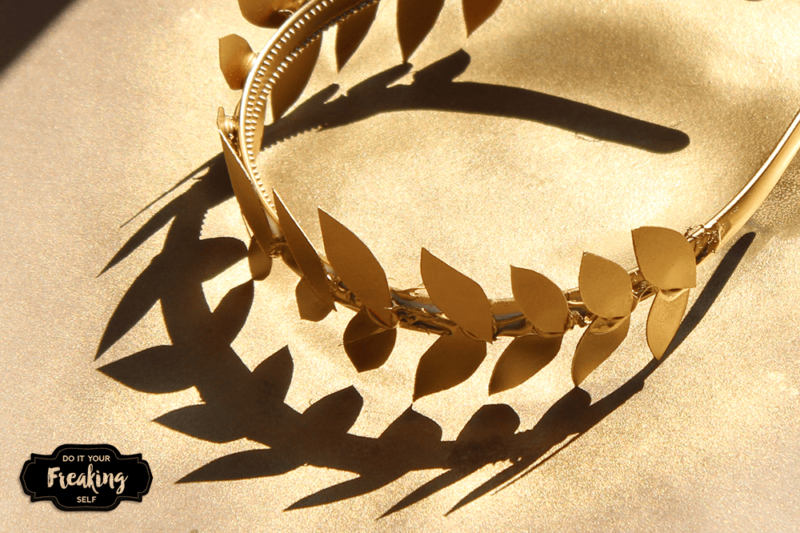 Unleash your inner goddess with a fun and simple greek headband. 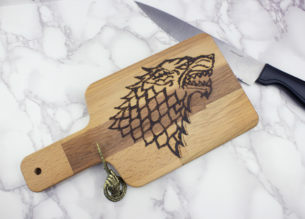 You guys, I am so excited about this DIY! Why? 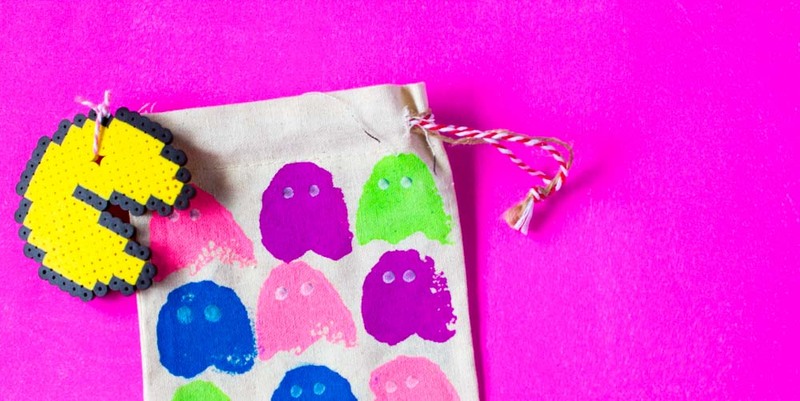 Because it’s super cute and super classy and super easy! You can wear it year round… or just for halloween! Do you ever buy a dress with the exact way you want to wear it? Accessories and all? Yep! That’s what I did! Except I couldn’t find the accessories I wanted and when I did, they were expensive as (you know what). And so, I did what any intrepid DIY-er would do, and I made it my Freaking Self. 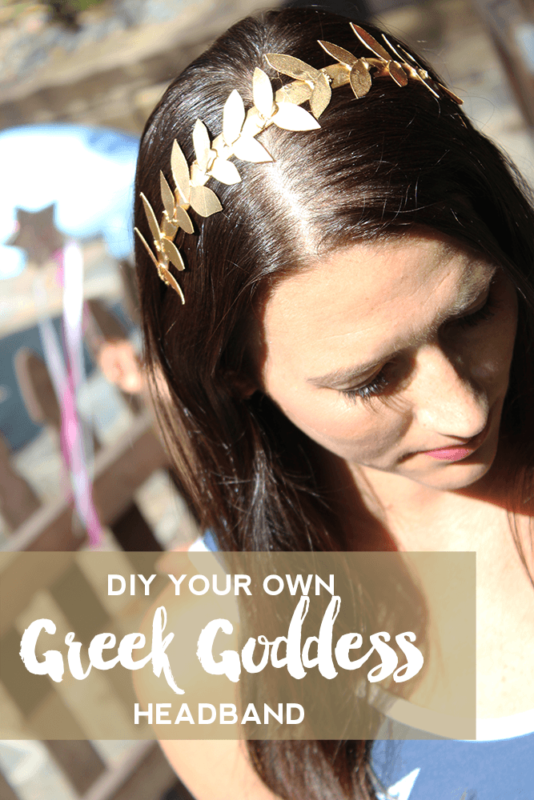 One of the things I love about this headband is that, while it can be used for an Athena costume at halloween, it can also be worn with a lot of great outfits if you need just a touch of gold. 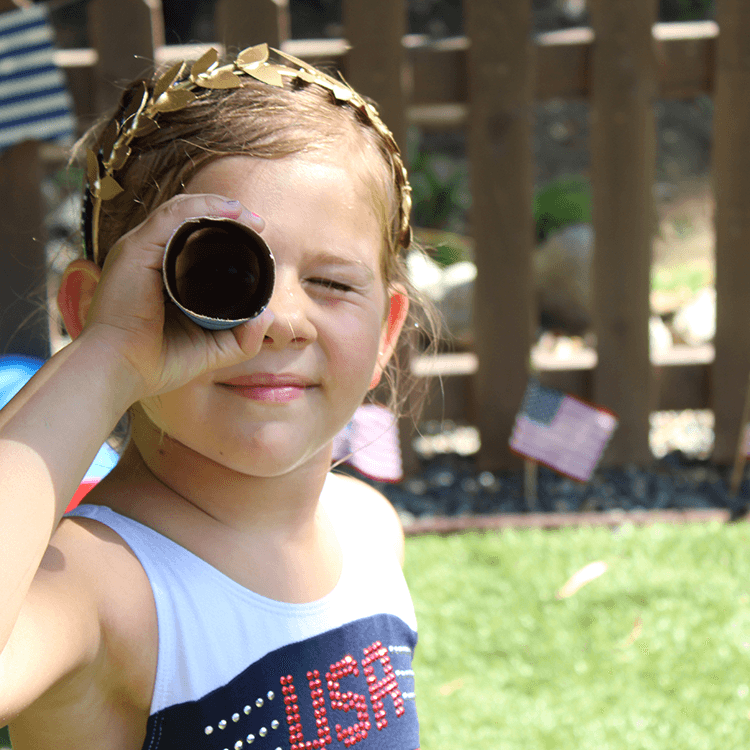 Most recently we used it for an Olympic themed play date with my friend Erin over at athomewiththezierings.com! 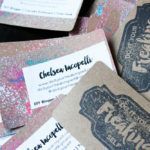 The moms and kiddos loved them! 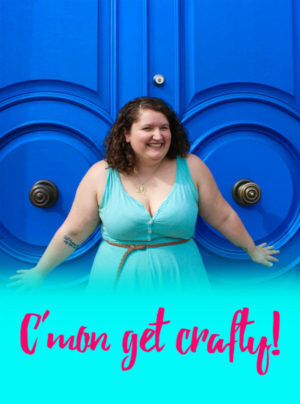 So follow along and lets make some stuff! 1. 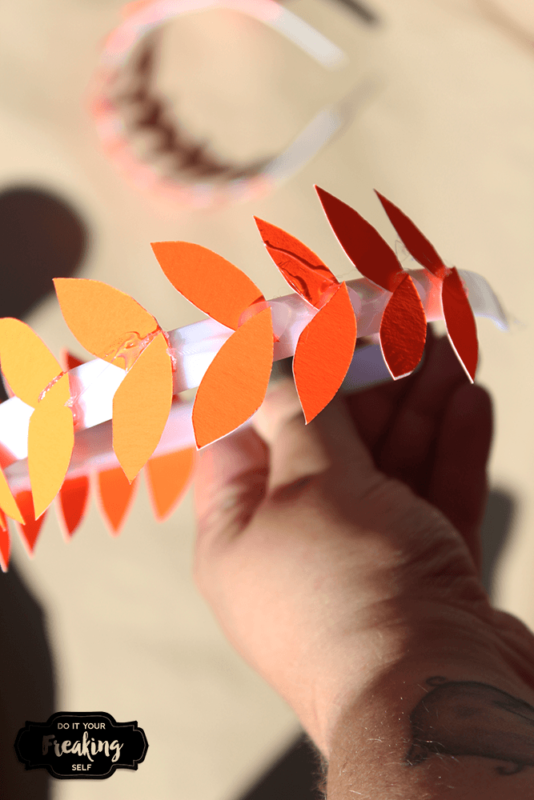 Start by cutting out a million tiny leaf shapes from your card stock or poster board. Mine ended up being about 1/2 to 3/4 inches. (You really only need about 36). 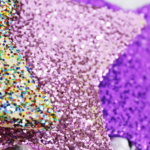 While that’s going on, heat up your glue gun. I had some bright orange poster board on hand (left over from these stenciled placemats) so I used that, it’s not ideal for painting over, but it got the job done. 2. 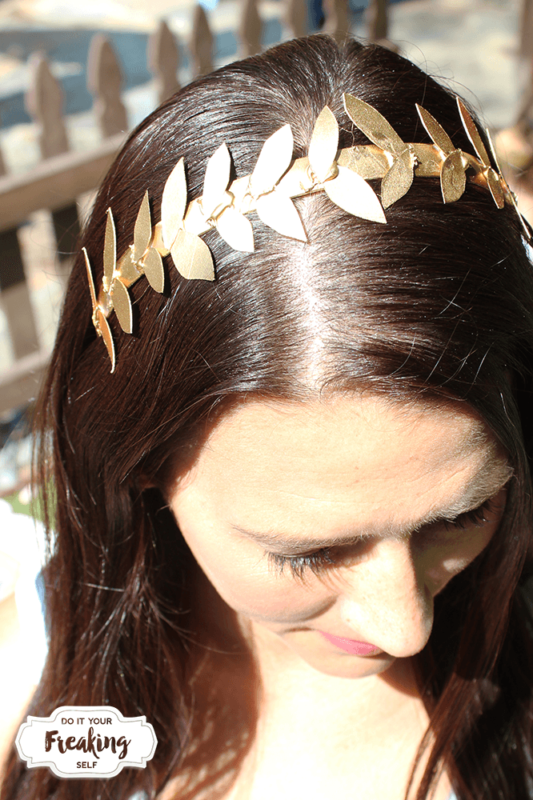 Grab your headband and with the hot glue, start gluing down leaves. 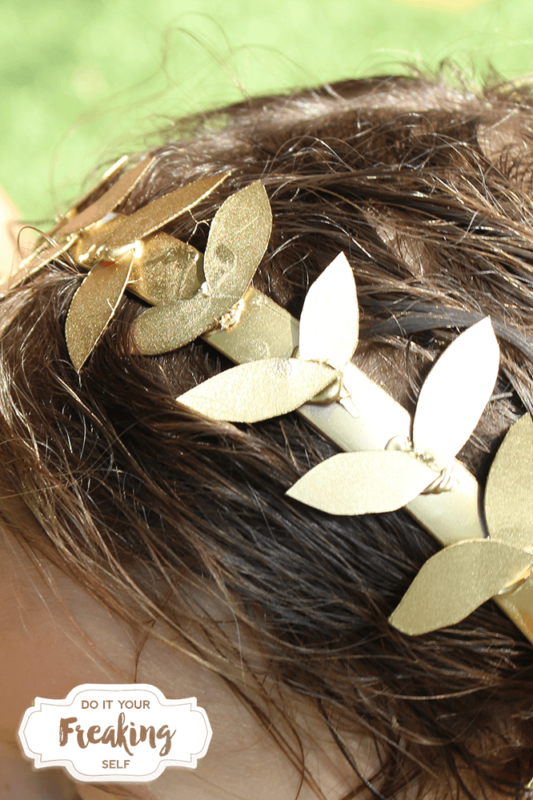 You want to do these at a slight angle each way to give the feel of a laurel wreath. I used one dot, glued on the leaf, then another dot over that for another bit of leaf. 3. 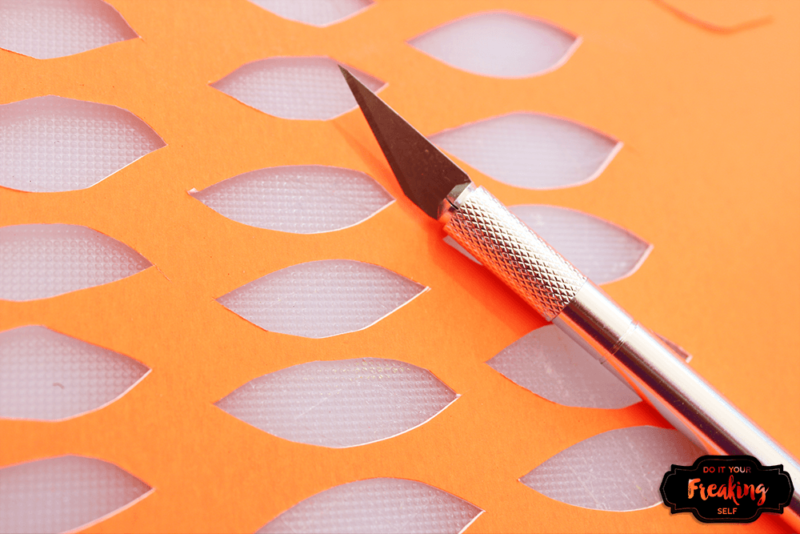 Let your hot glue set (this should take less than a minute) and remove all of the stringy bits. 5. Let it dry for about 20 minutes or until paint is set. Whichever comes first.